If you're in the market for a new system and want to build a decent gaming rig for around £1,000, then the CPU has traditionally been a tricky decision (although we of course advise you to check out our latest PC Hardware Buyer's Guide and stay tuned for its quarterly updates). Do you go for the big gun in the form of Intel's Core i5 K-edition with the extra grunt on offer through overclocking, or do you reign in the cash and go for a non-overclocking Core i5 or i3. Even Intel's Skylake and Kaby Lake Pentiums have been popular amongst budget system builders, given that pairing them with low to mid-range GPUs rarely sees much of a performance drop-off. The price difference can be considerable too. For example, the popular hyper-threaded, 3.5GHz Pentium G4560 costs just £60, and the similar 3.9GHz Core i3-7100 retails for just over £100. When you're on a tight budget, that £170/£130 saving over a Core i5-7600K is considerable, as it means a big step up in GPU performance or double the SSD storage space. However, more and more games are making real use of additional cores and threads, and if you've ever tried to do video encoding or rendering on a dual-core, even one with hyper-threading, you'll know how painful it can be. One alternative for a good all-rounder would be one of Intel's locked quad-cores, but the downside here is that they aren't much cheaper than a Core i5-7600K, and you'll be limited to south of 4GHz, even with Turbo Boost. If you're not planning on overclocking, they're a valid option, but the massive headroom available with the Core i5-7600K, which often gets to 5GHz without much issue, leaves the likes of the Core i5-7400 in its dust. So, there's a fairly large piece of the CPU market that doesn't have anything particularly interesting or great value. You either take the multi-threaded performance hit at the cheaper end or live with a CPU that might just be able to get close to 4GHz if you splash out up to £200, but only with Turbo Boost. This is, of course, where Ryzen is shaking things up. While some of us old-timers remember being able to buy overclockable, quad-cores such as the Core i5-750 for £150, AMD is once again offering some decent multi-threaded grunt with plenty of change in your back pocket from £200. 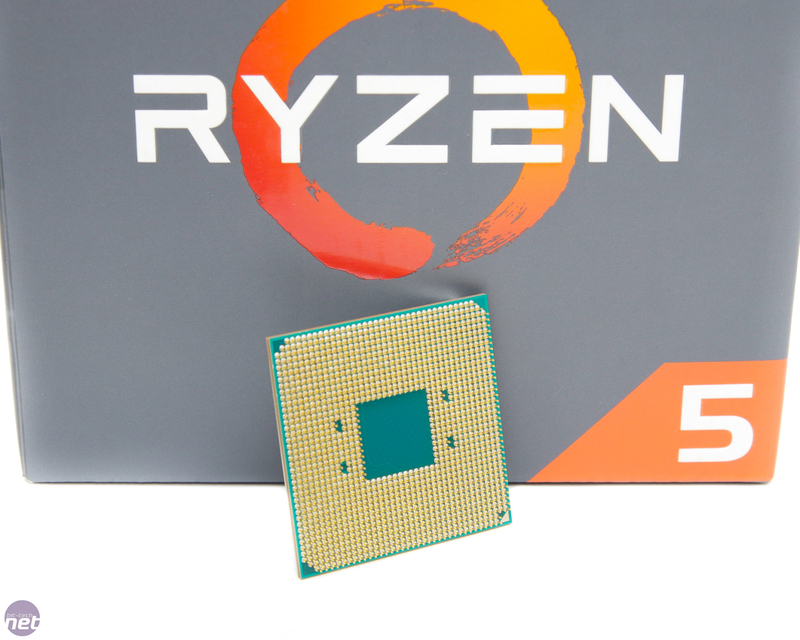 The Ryzen 5 1400 is the cheapest Ryzen 5 CPU and the last Ryzen chip we'll be seeing until Ryzen 3 lands later this year. At just £160, it's a sizeable £70 cheaper than the Core i5-7600K, cheaper than the Core i3-7350K, and about the same price as many of Intel's locked quad-cores. Interestingly, the Ryzen 5 1400 is the first time we see the L3 cache dipping below 16MB. Even its quad-core sibling, the 1500X, has 16MB, but the 1400 only has 8MB. The £20 saving over the Ryzen 5 1500X seems even more paltry when you look at the clock speeds too. 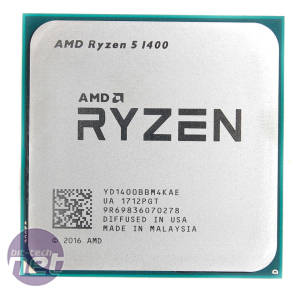 While the 1500X has a huge XFR boost of 200MHz - the most of any Ryzen CPU - the 1400 is limited to just 50MHz, with a 300MHz deficit in Precision Boost and the same amount lower on the base frequency, which stands at 3.2GHz. 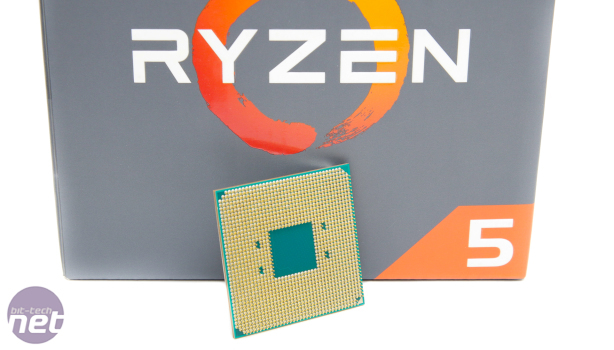 It's a much wider specification gap than we saw between the 1600 and 1600X, yet the price gap is even smaller. 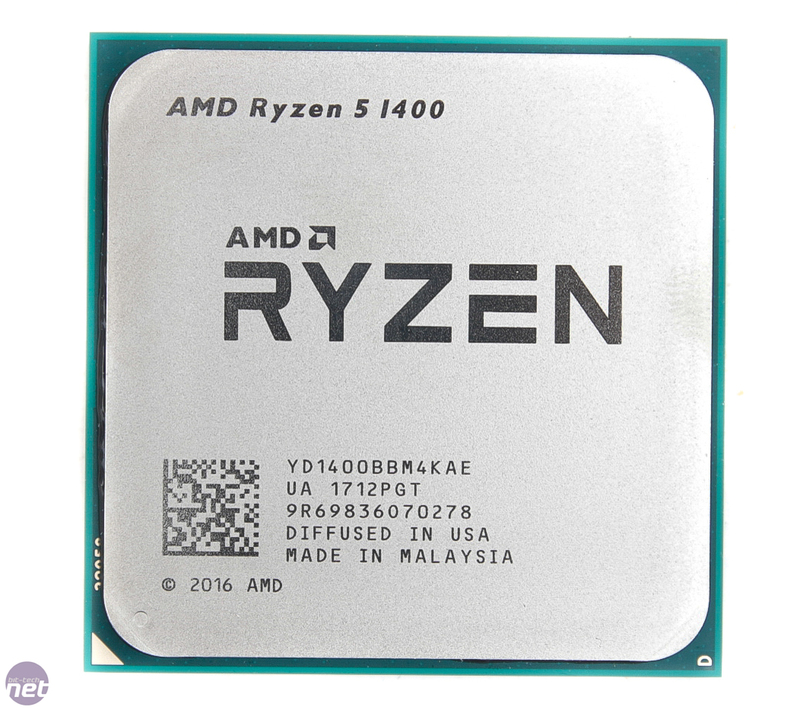 Add in the fact that the X-edition 1500X is supposedly a better-binned CPU in terms of overclocking, and on paper the Ryzen 5 1400 doesn't look like it's worth it just to skimp on paying an extra £20 - perhaps even less if you really shop around for your 1500X.